READING Council is highlighting the issue of tuberculosis (TB), with the aim of reaching all those unknowingly affected by the disease in the local area. The Council and its partners in the NHS are keen to encourage an improved uptake of latent (sleeping) TB screening available in Reading. Early detection of active TB infection and tracing those who may have been in contact is vitally important in the fight against the disease, as well as identifying those with sleeping TB. A person may feel perfectly well and display no symptoms, but may be carrying a sleeping TB infection. Approximately one third of the world’s population has sleeping TB. People are encouraged to use the free health screening service available in Reading for people newly arrived in the UK who may have been exposed to the disease. The New Entrant Health Screening Clinic, based at the hospital, offers a range of tests for people who have arrived in the UK in the last five years and who were born or spent more than three months in a country with a high incidence of tuberculosis. Reading’s Lead Councillor for Health, Graeme Hoskin, said: “Much excellent work is being done to raise awareness of this debilitating disease, and to eradicate it with early diagnosis and treatment. A number of successful initiatives have been carried out this year, including workshops and awareness sessions with community groups. People who are worried they may be at risk of TB or latent TB should contact their GP for advice. Reading Borough Council and South Reading CCG, together with the TB Team at the Royal Berkshire Hospital have developed and delivered a programme of work to raise awareness of TB, latent TB and the new entrant screening programme and to break down stigma that can sometimes surround the condition. · Upcoming event- a workshop to reduce TB in Berkshire on 5th December – which will be attended by national TB Leads. The success of the new entrant programme in identifying and testing increasing numbers of eligible residents has enabled continued funding to employ a dedicated Latent TB Programme Manager for South Reading from 2017, this will enable close working with TB nurses, Reading Public Health Team and community groups across Reading to reach out to less well served communities to improve uptake of testing and encourage early presentation and timely onward referral for anyone with TB symptoms. This work programme has enabled many more Reading residents to be screened and treated for latent TB and is continuing to improve awareness of TB more widely in Reading. The work has been recognised as an example of good practice by Public Health England and has been presented nationally to TB nurses. 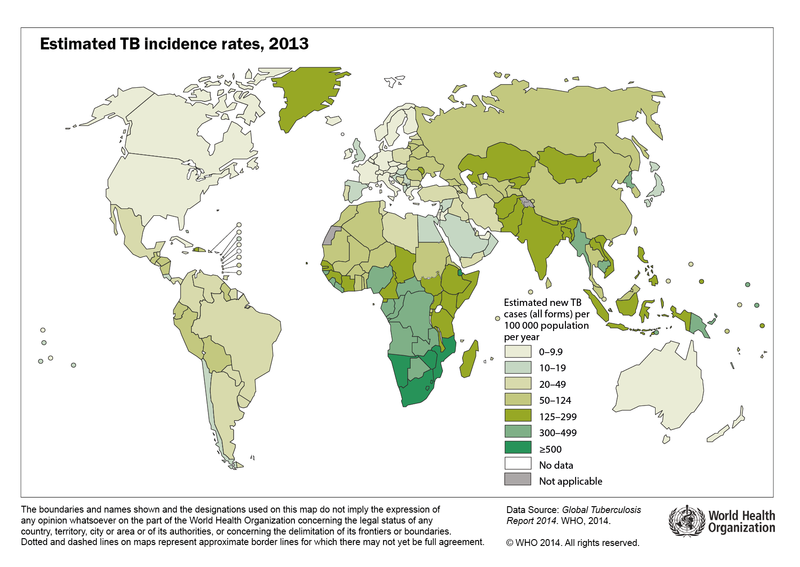 TB remains an epidemic in much of the world, causing the deaths of nearly one-and-a-half million people each year, mostly in developing countries. Although the incidence of TB has significantly reduced in the UK since the introduction of antibiotics, it has not yet been eradicated. There were 6,520 cases in 2014, of which 72 per cent were found among people born outside the UK. Of these, 86 per cent were among people that had been in the country for longer than two years – suggesting reactivation of latent TB. In Reading, 58 cases of TB were reported in 2014, compared to 43 cases in 2012. At 36 cases per 100,000, that is three times the 12 per 100,000 rate for the UK.